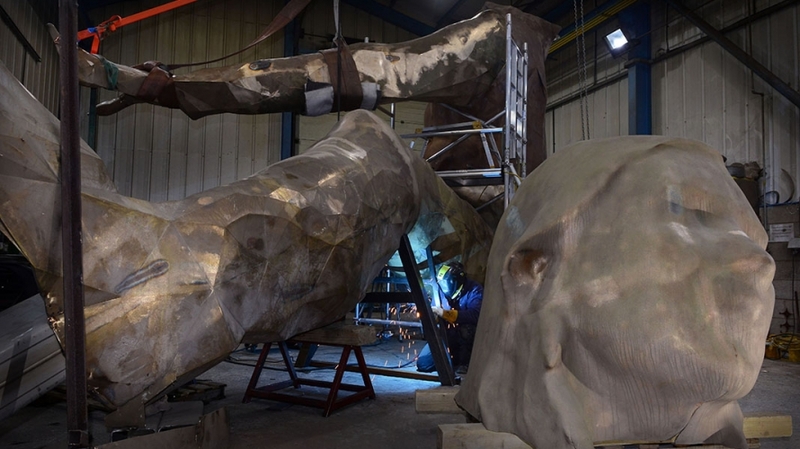 The UK’s largest bronze sculpture, ‘Messenger’, is just weeks away from completion. All the main components have been cast and the final stages of brazing are well underway. The seven-metre (23ft) tall and nine metre (30ft) wide figure is the largest lost wax bronze sculpture ever to be made in the UK. Craftsmen at the Welsh foundry where she is being created will spend the next few weeks attaching her head and right arm before finishing the final patina colouring.